Jay Z & Beyonce Ride The Rails With Their Baby Girl! Home » Jay Z & Beyonce Ride The Rails With Their Baby Girl! 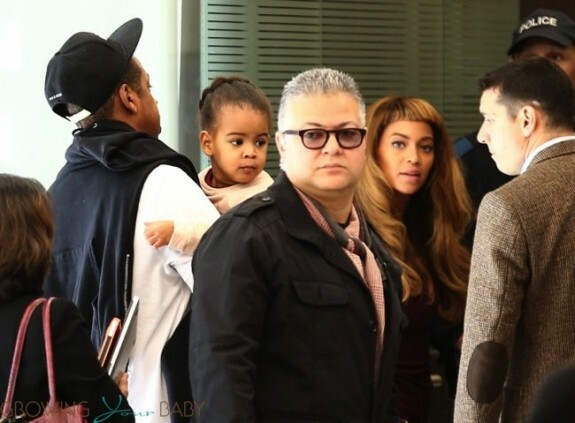 The Carters are on the move again! Singer Beyonce Knowles and her husband Jay-Z were photographed catching a train out of Gare du Nord station in Paris, France with their daughter Blue Ivy on Tuesday(October 14). The famous family took the Eurostar after spending the past couple weeks in Paris. 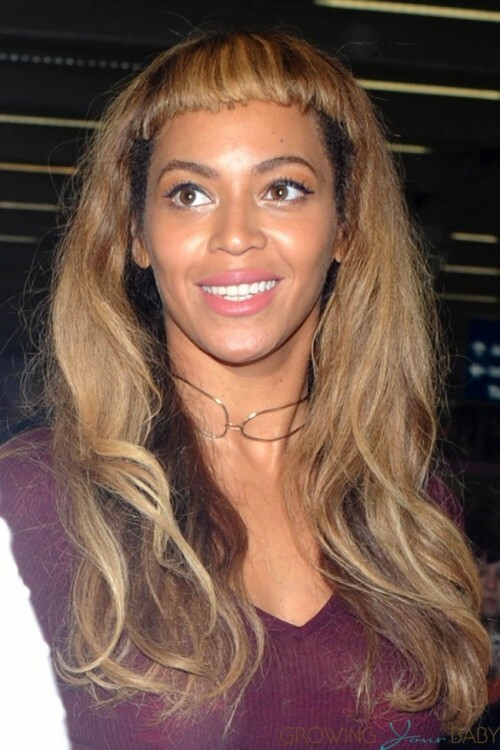 Beyonce, who was dressed in a full maroon outfit matching her Stella McCartney clutch, showed off a new blunt bangs hairstyle. Jay carried his little lady through the Paris station, and then pushed her in Orbit’s G3 stroller when they arrived in London. Fresh off their 23 date On The Run tour, the pair has been really enjoying their downtime, while showing their daughter the world. Kourtney Kardashian Lunches With Her Little Lady!